Our premium web services include everything you need to run your business successfully. We provide website management, hosting, maintenance, tracking, custom website design, and much more. Our team of experienced professional will track every aspect of all website’s visitors. C.S.R.T. tracking allows you the ability to track exactly what is happening on your website. You will be able to accurately monitor the number of new visitors, repeat visitors, average clicks, monthly active users, page views, number of actions, visitor geographical locations, and even visitor hardware such as computer, operating system and graphics capabilities. We will track all of this simultaneously to help you understand what your clientele is doing after they view your website. This will give you the ability to make real time adjustments to increase conversions and profitability. This guarantees faster load times, unlimited files space and peace of mind through premium security integration. C.S.R.T. can host your website for a fraction of the cost with superior results. 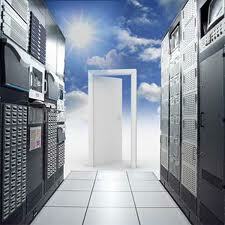 Every premium hosting client enjoys expandable server options at reduced costs. You will only pay for the service you need and nothing more. This gives you the unique ability to build your business when you are ready without paying for services you need. Saving money and providing reliable services is what we do. utilizing the latest search engine optimized code. Our team of knowledgeable professionals will create the perfect website for your business. We provide you with direct creative control to ensure your satisfaction. We design and develop customized Google compliant websites. Every custom website we create is designed to your specifications. We provide you with direct creative control to ensure your satisfaction. Our custom websites will accent your company’s existing brand image. Please contact C.S.R.T directly for more information about Custom Websites.